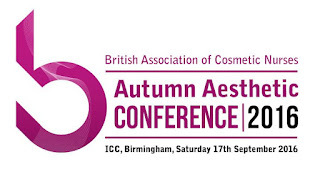 The British Association of Cosmetic Nurses held their annual conference at ICC Birmingham Saturday 17th September with nearly 300 delegates and up to 50 exhibitors what a resounding success it was, and it was inspiring to see so many nurses who all have the same ethos. I’m not just saying this because I sit on the board, feedback from those who attended was very positive. Who's afraid of cosmetic surgery? Professor Heather Widdowswill be one of the two speakers opening a public debate next Monday (September 12). The other speaker is nurse specialist Sharron Brown who will explore how the NHS responds to people’s aesthetic needs. Both speakers are members of the Nuffield Council on Bioethics working party which is currently considering cosmetic procedures (http://nuffieldbioethics.org/project/cosmetic-procedures/). The debate is public and open to all. No prior knowledge is needed, just an interest in issues of the body beautiful and transforming the body for aesthetic reasons. The debate is part of the 'Dragon Hall' series run jointly by UEA and the Writer's Centre Norwich. Speakers will open the debate with very short talks and then the discussion from and with the audience begins. The aim is to be open and create "more light than heat". For more details see https://www.uea.ac.uk/events/-/dragon-hall-debates.